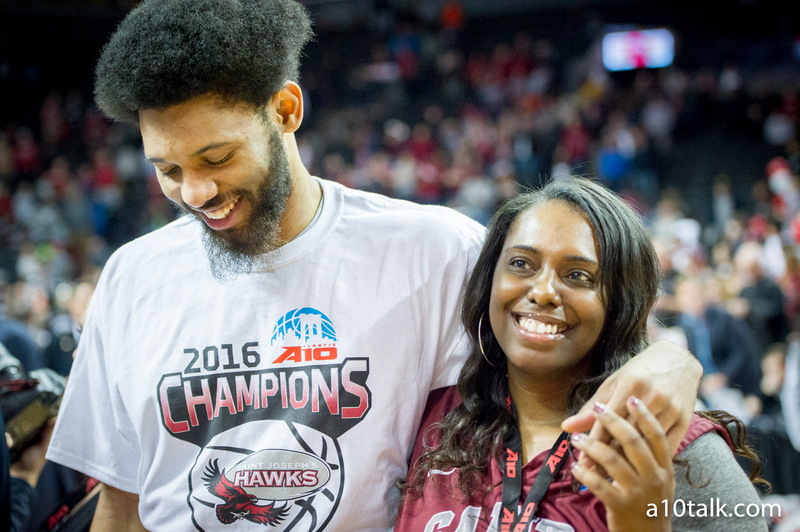 DeAndre’ Bembry recently declared for the NBA Draft, meaning he will not return to St. Joseph’s next year. This season, there are new rules changes that push back the decision date for NBA Draft prospects. Before making the official decision and losing amateur status, college players are allowed to attend the draft combines and have 10 days following to make the ultimate decision. That being said, Bembry, who has already hired an agent, will not be returning to school for his senior season as a Hawk. So without Bembry, the Hawks lose a lot. The departing junior joins seniors Isaiah Miles, Aaron Brown, and Papa Ndao who made up almost 66% of the Hawks’ scoring last season. Needless to say, the contributions of all 4 players will be greatly missed, and it’s time for Phil Martelli to start rebuilding in Hawk Hill. Looking ahead, St. Joseph’s will be returning some strong underclassmen that will need to take a major step up if the Hawks want to find success in the conference next season. Without Miles and Bembry scoring the load of the team’s buckets, someone else is going to have to be there. As of right now, rising junior James Demery will be the highest-scoring returner for the Hawks. He proved to be a nice six-man off the bench, having scored 8.1 points and pulling down 3.6 rebounds per game this past season. He played every game but only started once; he’ll more than likely be a starting guard/forward for St. Joe’s next season. Demery has a frame similar to Isaiah Miles and DeAndre’ Bembry. If he works on his outside shot a little bit this offseason, he could be a dangerous player next fall. Though St. Joseph’s loses a lot in its frontcourt, the Hawks will return its duo of rising point guards. Shavar Newkirk will be a junior next season, and Lamarr Kimble will be just a sophomore. The two combined for 14.0 points and 5.1 assists per game this past season. Though Newkirk started every single game for the Hawks, Kimble was a huge contribution off the bench and will get even more playing time next season. Both have been good with the basketball (assists to turnover ratios over 1.75) and will likely provide the offensive spark next season when Miles and Bembry aren’t there to take the game over.